Music Together TipToe Music - Hear what our families and schools are saying about us! Hear what our families and schools are saying about us! 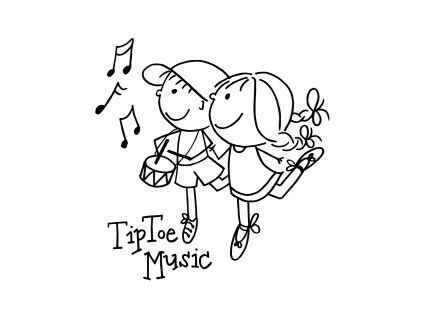 Thank you TipToe Music for partnering with us and guiding the children (and Educators) through this fun interactive program. Music simultaneously develops a child’s mind, body, and spirit through singing, dancing and playing instruments. We are learning to sing in tune (pitch and tone), we all know what a "pitch pipe" is now! We are moving in time, enhancing children's literacy skills and vocabulary, building self-confidence and motivating children to try new things. We are happy to have you as part of our Crescent Family! Music Together® is the best program I've put my son into. We love listening to the music at home or driving in the car - its so catchy. E-J at TipToe Music brings it all to life and it's the highlight of our weekend. We look forward to many more classes with you as we have seen how it's improved our family's musical learning! Miss E-J (as we fondly refer to her in our home) and Music Together have brought such fun into our family. Not only do we all leave the classes in great moods, the music carries into our lives between classes each week. From kitchen dance parties to singing in the car or at the beach, thanks to Music Together, music is woven into our fondest memories. I believe that the theory used by the program for the child's musical development works! It's such a pleasure to see my boys reach musical milestones far beyond what I would have imagined. Thank you E-J and Music Together. I am so thrilled that E-J will be taking over Music Together family classes in the Oakville and Burlington region. E-J is an experienced teacher, a warm and caring person, and an ambitious entrepreneur and I know she will serve the families of this community well. I feel so lucky that she was able to teach for me while I was running Lakeshore West Music Together and now that my circumstances have changed and I have chosen to teach in a school full time, I feel even luckier to know that she will be carrying the proverbial torch in the my stead. Here's to E-J and TipToe Music! Music Together is without a doubt the best hour of the week - it is wonderful to spend an hour sharing time doing something we both love. My three children all did this fabulous music programme - my son says "I love music class", and his big sisters "we are so jealous our little brother gets to go - can we come too?!" We may not be harmonious but we sing in perfect harmony!